I’ll never forget the parent/teacher conference we had when my daughter Averee was in the 1st grade. The teacher explained that she had to scold Averee for humming during a test because the room was to be quiet. She started giggling as she told us how this was the first time she had to punish a student for having joy. Needless to say, I left that conference beaming with pride. Averee hasn’t stopped humming since she was a toddler, so it’s no wonder why I refer to her as “my joy.” Because it doesn’t matter what she faces or what she’s going through, she carries that joy with her. Joy is true, authentic. When we have joy, which is true and authentic, it pretty much punches Satan in the throat. Why? Because the joy of the Lord is our strength, and Satan can’t work with a heart that’s full of joy. As women, I don’t think we give ourselves enough credit. The reality is we are warriors. And the devil knows that. If the devil can weasel his way into a woman’s heart, he has the potential to completely ruin the family; which is his overarching goal. Because if this happens, he can ruin generations. Can we as women rise up? And not only that, can we take it a bit further and rise up with joy? Can we fight back with joy? I would say Paul was in the direst of circumstances, wouldn’t you? Yet, in Acts 16, we see Paul praising God, and rising up with joy through his circumstances. And then what happened? The chains that shackled him were broken and the prison doors flew open. Paul learned the art of using joy as his weapon. He wanted Job to choose joy because He knew it was a powerful weapon. So, Job punched Satan in the throat with joy and God restored to him double of what was lost. The fact is God never promised us an easy life. But He did send His Son to show us His great love for us. And here’s the cool part: Jesus brought with him joy and he left us with joy. We will have trials. We will have sorrow. But when we have the fullness of joy and when we rejoice, our enemy is defeated just like it was for Paul and Job. Not only that, God will restore two times the amount that was broken. You can choose to give in to the struggle of your circumstances or you can choose to rejoice through your circumstances. You can choose to use your weapon of JOY and fight back. Our family made a pretty significant move 18 months ago from Oklahoma to Colorado. Can any two states be more opposite? Averee went from being Ms Social to Anti Social. She went from a place where she knew everyone to not knowing a soul. And she’s done it beautifully. Amidst all of the struggles she’s faced since our move, she still has joy. If I’m quiet and listen hard enough I can hear her humming in her bathroom from my bedroom in the morning as she’s getting ready and it’s one of the most beautiful sounds I’ve ever heard. Our move has been a struggle for her, but you’d never know it. Wanna know why? It’s because Satan can’t work with joy. Lord, first of all I want to thank you for this dear sister and friend. I thank you for her life, and for what you are doing through her right now. Lord I ask that she stand firm in her faith to use joy as the powerful weapon that you intended for it to be. 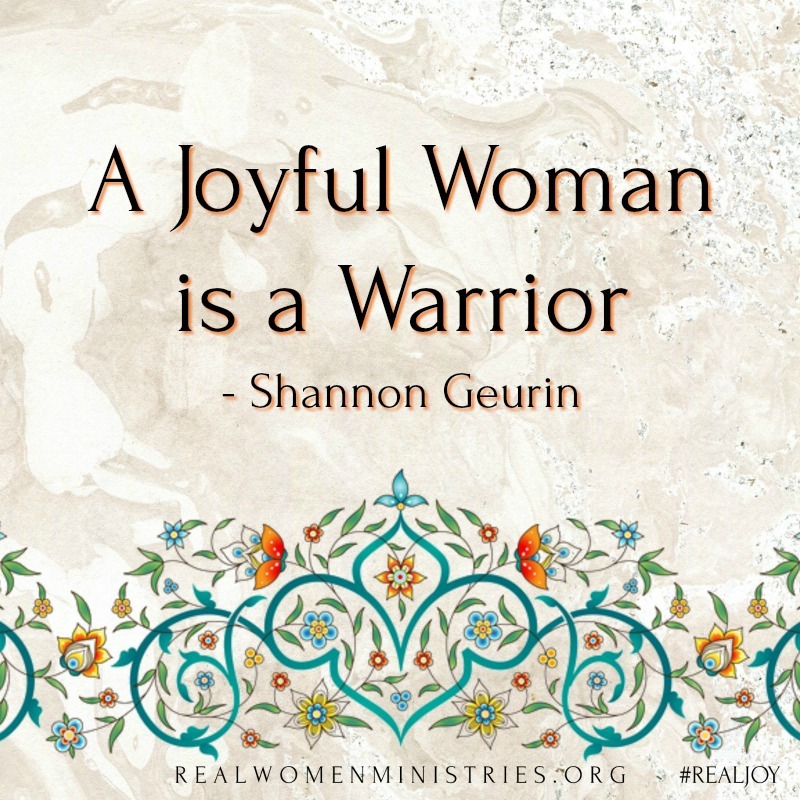 May she rise up THROUGH her circumstance using joy as a weapon. May she laugh at the enemy’s attempts to steal her joy. I don’t know what is that she faces today, but Lord, you do. I ask that she feel your presence right now. May she feel your strong arms holding her tight. Give her strength and joy Lord. In your precious name, Amen. What difficult things are you going through today? What are some things you can do to more deeply root the joy you carry with you? 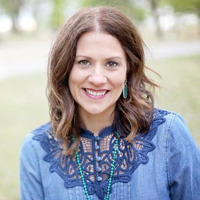 Shannon Geurin is a wife, mother and blogger- but most of all she’s a fighter. Her greatest desire is to empower women to rise above their failures and fight in order to find their greatest calling. Her authentic, genuine style and courage to speak the truth is a breath of fresh air to her readers and is one of her greatest qualities. An Oklahoma girl at heart with the accent and “y’alls” to prove it, she currently resides in the beautiful mountains of Colorado. She spends her time sipping coffee and taking care of her crazy family. She’s been married to John for over 25 years and has two spirited daughters, Alex (19) and Averee (16). I have victory and JOY! Lord, help me wield my joy as a weapon against the enemy of my soul! Amen! Thank you Shannon. I am so grateful that God directed me to your blog😍😍. Your words uplift me, especially the scriptures you give. For now I know, Christ deeply cares for me and gives me Joy. The enemy has no access to my joy, with his lies, I listen to the mighty voice cause greater is He in me than he who is the world. Thank you Shannon. I am so grateful that God directed me to your blog😍😍. Your words uplift me, especially the scriptures you give. For I know, Christ deeply cares for me and gives me Joy. The enemy has no access to my joy, with his lies, I listen to the mighty voice cause greater is He in me than he who is the world.